A sweet fruit, custard apple (botanical name Annona reticulata) is grown in many places throughout the world. Custard apple is a compound fruit that measures anything between 3 1/4 inches and 6 1/2 inches (8 cm and 16 cm) across. This fruit may be uniformly heart-shaped, irregular or even lopsided. Sometimes, this fruit may be almost oblate or round having a shallow or deep dent at its base. The covering or skin of this fruit is quite thin and when ripe, it generally changes to yellowish or slightly brownish. Beneath the covering or the skin lies a dense, creamy-white layer of flesh that is granular and akin to that of custard. This succulent flesh encases small black solid seeds. Custard apple has a sweet and pleasant flavour. Apart from being flavourful, custard apple offers several nutritional and health benefits. Usually, the custard apple trees are quite large and branching. They produce large, green-hued sagging leaves that provide ample shade. These trees bear copious number of pale yellow blooms that are shaped like trumpets and emit a noxious, sweet smell, particularly later on in the afternoon at what time the male pollen sacs of the flowers open up. Only a small number of these flowers develop into fruits. Although the custard apple is a popular fruit, very few people are aware of the benefits offered by the tree, which is not much attractive. 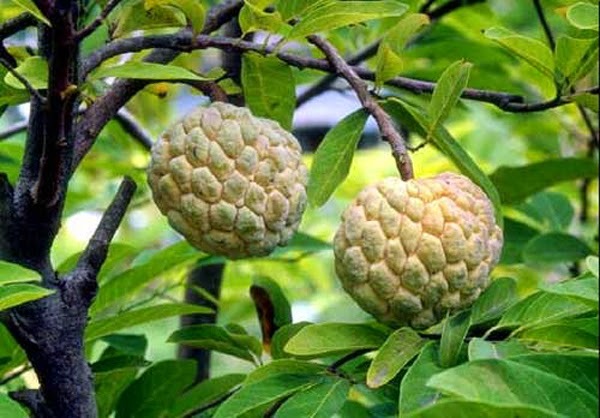 Custard apple trees grow erect, while their crown is circular and usually distributing. The trunk of the tree is roughly 10 inches to 14 inches thicker. Usually, custard apple trees grow up to a height of anything between 4.5 meters and 10 meters. This is a deciduous tree whose leaves appear alternately on the branches and have varying shapes - oblong to lanceolate. Although the smell of the custard apple leaves is not pleasing, they are usually broad with visible veins. People with hyper thyroidism will find custard apple to be a very beneficial fruit. It is also a good fruit for people who desire to add some body weight. Combining custard apple with some honey may actually help a person to get the essential calories. 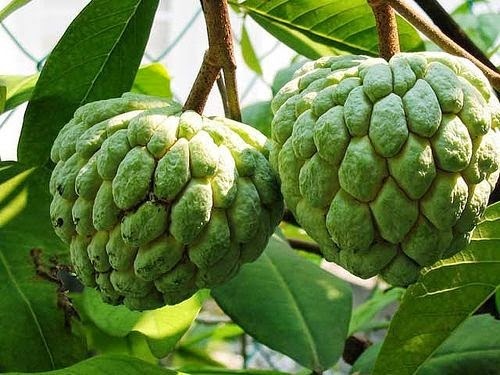 Custard apple is rich in vitamins like riboflavin and vitamin C. As a result consumption of this fruit facilitates fighting the detrimental free radicals and destroying them before they harm the healthy cells in our body. In addition, consumption of custard apple may be useful for the health of our eyes and maintain an excellent eye-sight. Custard apple, which has a plainly sweet taste, can also be useful in promoting the functioning of our digestive system. In fact, many people believe that consuming fresh custard apple helps to get a soluble fiber naturally. In addition, consuming this fruit also improves digestion by making the stools soft. Custard apple also helps in peristalsis (the progressive contraction and relaxation of the muscles of the alimentary canal). This fruit contains the essential mineral magnesium, which may possibly facilitate continuous and problem-free relaxation of the muscles in the alimentary canal, thereby helping in curing stomach conditions like diarrhea and dysentery. As custard apple contains sufficient amounts of magnesium and potassium, this fruit is recommended for everyone. Magnesium works to relax the smooth muscles present in the heart’s wall and also smooth any tweaking or cramping of these muscles, thereby preventing the chances of having strokes and heart attacks. On the other hand, presence of satisfactory amounts of potassium in custard apple helps to regulate the levels of blood pressure, thereby maintaining the normal cardiovascular function. Medical experts assert that since custard apple contains rich amounts of magnesium, it may help to regulate the balance of water inside the body. When the water content in the body is controlled, it helps to get rid of acids by way of the joints. This, in turn, helps to alleviate the signs of arthritis and rheumatism. Apart from insufficient sleep, exhaustion may also occur due to several ailments. When a person is sick, he/ she requires more rest or sleep in order to promote the curative process. Lack of adequate sleep may affect the performance of an individual at work or in office. Moreover, an individual generally feels exhausted when he is enduring a low in his life. 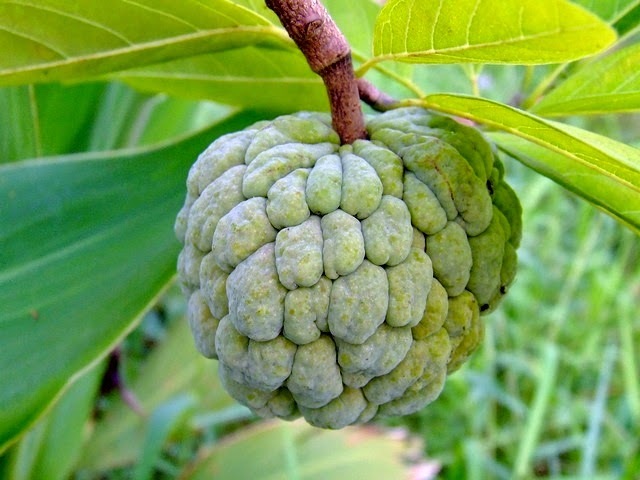 Custard apple is also helpful in resolving the problem of convulsion and depression. It is interesting to note that applying the fleshy part of custard apple topically to any wound or injury will not only help to speed up the healing process, but also prevent the area from being infected. 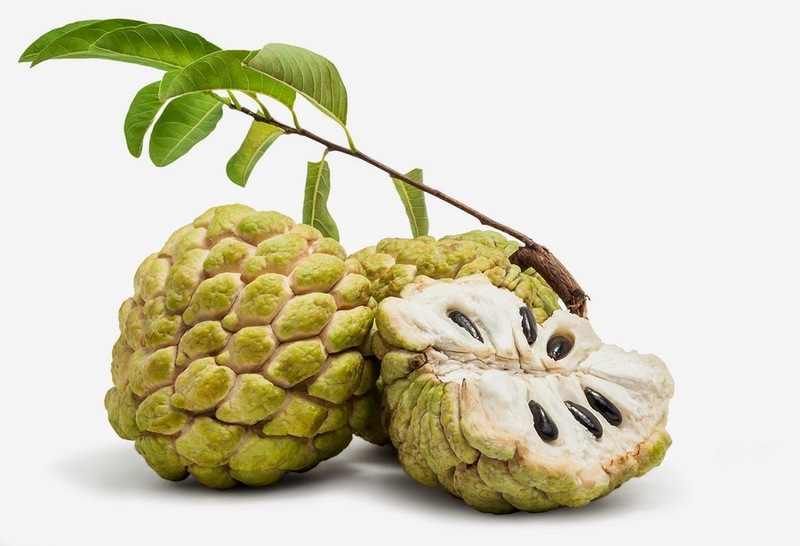 Custard apple contains potent antioxidants similar to vitamin C and these help to combat free radicals inside our body and, at the same time, speed up the healing of wounds. It has been found that custard apple possesses excellent expectorant properties. In addition, this fruit also serves as an effective coolant, catalyst and haematinic (an agent that helps to promote red blood cell and hemoglobin production). Custard apple is also effective for treating anemia. Apart from the fruit, the bark of custard apple tree also possesses therapeutic properties. The bark, which possesses astringent attributes, is used to prepare herbal supplements. It is believed that the leaves of the custard apple are effective for treating tumours as well as cancer. On the other hand, the bark is used to alleviate tooth ache and gum pain. As discussed earlier, custard apples are packed with vitamin C, a potent and effective antioxidant that helps to protect our body from damages caused by free radicals. In addition, vitamin C also safeguards us from contacting contagious diseases, in addition to perking up the immune system. Vitamin C is reputed for its role as anti-viral and anti-cancer agent. A paste prepared from the succulent flesh of custard apple may be employed for topical application on boils, abscesses and even ulcers. Unripe custard apple fruits can be cleaned, dried and pulverized into a powdered form, which is effective for treating dysentery and diarrhea. Even the seeds of custard apple are known to possess abortifacient and insecticidal attributes.